Many questions have been raised in on the internet about white crane sanchin and its relationship to goju-ryu and uechi-ryu. For those who haven't done so I invite you to visit the website of my friend Martin Watts, a long-time practitioner of Yong Chun white crane. 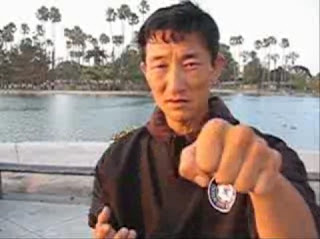 His website (http://www.fujianbaihe.com) has many videos with links to his master's site in China. The videos are very interesting and I think show that uechi-ryu is arguably the closest Okinawan form to Yong Chun baihe (white crane). In my many discussions with Martin on this topic I know he certainly thinks so. I don't think they are related in a linear sense, but they are certainly "cousin" arts. In goju, the nearest we come to white crane is our form "tensho" (there is at least one Yong Chun form with similar movements). I can see why many would argue a close connection between naha te (both uechi ryu and goju ryu) and southern mantis. However here is my reasoning as to why this relationship might more distant than, say, with white crane. There is a group of external arts that can be broadly grouped together in a technical sense. I shall for these purposes call them the "Fujian external group". They include white crane, ngo cho kun (5 ancestor fist) and wing chun. 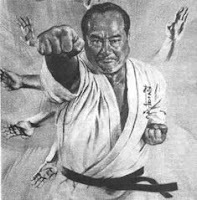 It is commonly held that karate (in all its manifestations) is descended (principally) from this group of Chinese arts (with a heavy influence from the native Okinawan "te"/"ti"). 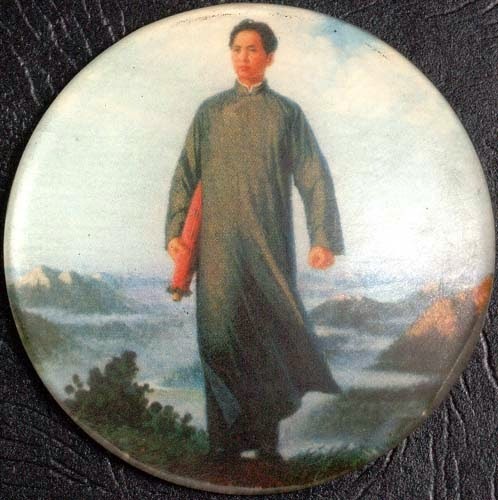 As a student of xingyiquan as well as karate, I can see that there is a great deal of credibility in the theory (espoused by many) that the Fujian group is an "external" offshoot of early xingyi. By this I mean that the Fujian group are descended from the "internal" art of xingyiquan but have morphed into artforms that have predominantly "external" biodynamics (notwithstanding their obvious soft" elements). There is a fundamental difference between external and internal biodynamics as I detail in my article “Understanding internal arts” - neither is better or worse, and nor is is true that one is necessarily "softer" or "harder" than the other. The labels "external" and "internal" are, for me, just labels to differentiate these biodynamics. A simple example of the differences in biodynamics is xingyi's predominant use of the "advancing foot" in its forms ("yori ashi" in karate - front leg moves first, legs sliding, no passing; and "suri ashi" - legs sliding, rear leg passing to take the lead), where external arts predominantly use normal stepping ("ayumi ashi"). There are exceptions in the Fujian group of course - the ryuei ryu kata anan uses a lot of suri ashi and many versions of seisan in Okinawa use yori ashi. Ngo cho kun or wu zu quan (5 ancestor fist) occasionally uses suri and yori ashi in their forms. However, in the end the dominant form of sabaki remains "normal stepping". In xingyi the reverse is true. Now we come to the "Hakka" schools of southern mantis and its close cousin bak mei (white eyebrow). These clearly show a far greater internal influence. Take a look at the dominant use of yori ashi for starters. Bear in mind, this is just one technical example - I have compared xingyi notes with my brother in law who is also a senior bak mei practitioner and there are many points of technical similarity. The Hakka schools are, in short, almost "internal" in their classification. 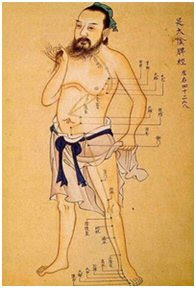 Traditionally only xingyiquan, baguazhang and taijiquan (as well as liu he ba fa or "water boxing") are entitled to the "internal label", however there is certainly scope for arguing that the Hakka schools should fall under this umbrella as well, even though they contain some external (Shaolin) elements. Now there were undoubtedly examples of the Hakka school in Fuzhou during Uechi Kanbun and Miyagi Chojun's visit. What sort of influence did they leave on those respective master's arts? Well many researchers (Akio Kinjo, for example) believe that Miyagi's kata shisochin is a mantis form.2 It is true that the hand thrusts are very reminiscent of mantis. On the other hand, it's biodynamics are still inherently from the Fujian external group and - most importantly - bear all the hallmarks of an Okinawan artform. I agree with Mario McKenna when he argues that Uechi and Miyagi (like their predecessors in China, Higashionna and Nakaima etc.) taught their own eclectic forms of martial art, placing elements of their Chinese study onto an Okinawan base (which, in turn, reflects a much earlier Fujian method rather than what they learned on the mainland).1 As an example, see my article “Seisan - the universal kata”. It seems to me that Uechi borrowed or preserved many elements of Okinawan vesions of seisan in his kata. So while I agree that Uechi and Miyagi may have borrowed elements of mantis/bak mei, they remained true to their external nature. Their arts remain, essentially, part of the Fujian external group, rather than the "Hakka" (semi-internal) group by classification. On the other hand, what strikes me about Yong Chun is just how similar its biodynamics are to uechi ryu (and to a lesser extent, goju ryu). It's san shr tai bau (13 treasures) is reminiscent of uechi's seisan (though not goju's). It is certainly not a predecessor to uechi or goju, but to my mind it reflects a mainland descendant of the Fujian external group circa late 1800s (pre-boxer revolution), much like karate. But it is the emphasis on sanchin/sanzhan that is, I feel, the best barometer of relation. 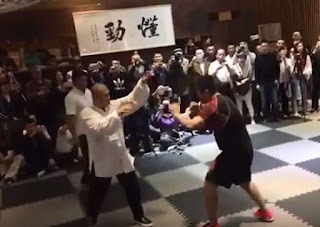 While many schools in China have sanchin/sanzhan, Yong Chun's version shows the most similarity to that in uechi ryu which leads me to believe that Yong Chun is the closest extant relative to uechi ryu in China today (though by no means a direct ancestor). Ngo cho kun would, by comparison, be goju's nearest relative. 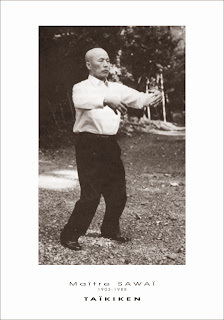 It is important to note that Yong Chun and other white crane schools (see Eric Lim's ancestral crane, for example) use a different sanchin stance to goju/uechi - their front foot points forward and the back foot points out to the side (curiously this stance survives in some shorin - and even goju - schools as "seisan dachi" – again see my article “Seisan - the universal kata”). By contrast, ngo cho kun have a more "pigeon toed" (or at least "straight line") sanchin/saam chien like goju, uechi, ryuei-ryu etc. A shorin mate of mine in the US has long argued the mantis/naha te connection, however my guess is that if mantis is related to karate, the relation is far more distant (about as distant as white eyebrow and xingyi). I think that modern similarities are more likely due to cross influence and parallel development than historical derivation. 1. See Mario McKenna’s article “So what did you think you were doing”. 2. See Joe Swift's article "The Kempo of Kume Village" at Meibukan Magazine No. 6. Incredible article, well like all you have on your blog, that really got me thinking about my katas...the inner links between them...but to see their roots so evidently exposed (I'm referring to the Mantis and Sanchin videos) was a shocking revelation. I've been studying Okinawa Goju for 30+ years in Puerto Rico (Toguchi's Shoreikan, Kow Loon Ong's Chi-I-Do, and Kodokan under Kimo Wall), and I find your articles very helpful in further refining my kata. Thank you for the kind words Jorge! I'm very glad you have found my articles interesting. i think that you have wrong understanding and interpretations of ngochokun and it's related arts in your statements. can you please show me where and how you came into conclusion that these arts were early off shoots of xingyi? please be more responsible the next time you write about something that you do not understand completely as these things are our cultural treasures. I wrote that comment as a rumination: I've long heard that xingyi is one of the oldest martial arts in China. Accordingly in this article I speculate whether the physical similarities between the Hakka systems and xingyi are a result of some sort of influence by the latter. I have more recently come to the conclusion that the similarities are merely coincidental (or at least are a result of a very remote influence by early "proto-xingyi" arts). I reached this conclusion after my discussions with martial arts teacher/writer/historian CS Tang in April of this year. By the tone of your message you seem to think that I'm unaware of the traditional histories of arts such as Ngo Cho Kun / Wu Zu Quan. This is not the case. However I note that all these traditional histories dissolve into myth after 200 years or so. I feel I am entitled to speculate as to what the origin of such arts was prior to their recorded, verifiable history. I certainly don't intend the comments to be offensive, nor do I feel my "thinking out loud" on such matters is at all offensive. 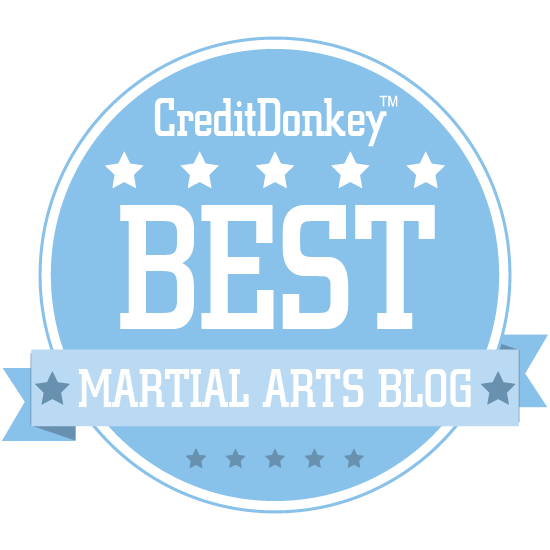 I've made it clear in my posts that this is blog is a collection of random thoughts on the martial arts. I can't see how such thoughts can imperil China's cultural treasures. I commend you for your passion, I respect your position and I thank you for reading and your input. I'm appreciative of this site, and have enjoyed many of it's articles. I have over the past three years tested the waters of Chinese, and Kung Fu History, most especially with regards to Uechi Ryu. My own idea is that one aspect of Okinawan Karate, is that the Okinawans 'make Karate'. The long standing Chinese influence upon Okinawan Culture is historical. Yet, on Okinawa all these influences go through a process of Okinawa transformation. Some elements are kept, some elements are discarded, and some Okinawan favorite ideas are injected, producing in the end, that which is esthetically acceptable to Okinawan tradition. 'Shorin Ryu' seems to be the template of 'standard'. Thus considerable effort was made to bring 'Goju Ryu' to this level of Okinawan tradition. Uechi Ryu then had both Shorin and Goju as their ideal, and over the years, has added many features to bring it's curriculum into line with Okinawan tradition. What else would be expected really, from the island whose motto might be "Karate 'R' Us" ? Your idea that Kung Fu history becomes somewhat blurred beyond 200 years ago, has merit I think. The novice will tend to 'see' his own style in 'type' across many venues. 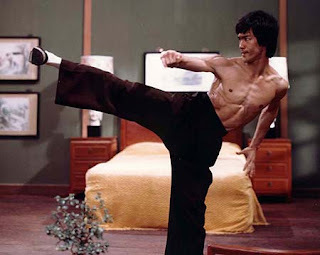 Yet there is enough corroborating evidence to put together a general history of Kung Fu. Any such effort must see such a history against the backdrop of Chinese History. Most emphatic of Historical events that have reflected upon Kung Fu history, are those conflicts between "Ming" and "Ching" loyalists. This is especially noteworthy during that document-able past 200 years. According to Chinese, and Kung Fu histories, there was a considerable effort to capsulize, and catalog, and distill former disciplines into quickly apprehend-able effective fighting systems. This 'effort' by Shaolin Monks in collusion with Ming Family members, their affiliates, and other Ming loyalists, with a view to producing viable martial disciplines that could be disseminated to the populous of 'Rebels'; was epicentered in Fujian Provence between 1700 and the early part of the 20th century. It is from just this base of impetus that we find the 'styles' in focus were spawned. Their common denominator is that certain 'Southern Shaolin' methodology consisting of; a core, (Sanchin, Sam Bo Jin, Bo Jik, Sahn Zan, Sam Chien, etc.) followed by a 'techniques' form, and culminating in a demonstrative fighting form; which exhibits the principles of the first form, and the techniques of the second form, 'shuffled and tweaked' into an exemplary demonstration of the style's potential. It is from this era and construct that many of the styles which display commonality, including Uechi and Goju find their root. 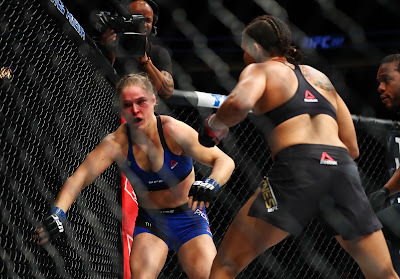 I think that most Martial Arts enthusiasts, must from time to time, dabble in speculation. It comes with the territory, so to speak. When this speculation leads to curiosity and research, it has served a good purpose. It is very enjoyable when we research and discover, if albeit in only a general way, those historical aspects which bring our ideas out of the sphere of speculation, and into the evident. 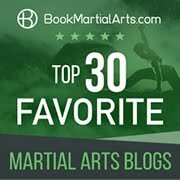 Here are some sources which have been of value to me in discerning the evidence of origins that surround Kung Fu, and by default, Karate history. Thanks for your thought-provoking comments. I shall peruse your links with some interest! Is mawashi uke goju's rising block?